Quantum computing promises a new approach to solving difficult computational problems, and the quest of building a quantum computer has started. While the first attempts on construction were succesful, scalability has never been achieved, due to the inherent fragile nature of the quantum bits (qubits). From the multitude of approaches to achieve scalability topological quantum computing (TQC) is the most promising one, by being based on an flexible approach to error-correction and making use of the straightforward measurement-based computing technique. TQC circuits are defined within a large, uniform, 3-dimensional lattice of physical qubits produced by the hardware and the physical volume of this lattice directly relates to the resources required for computation. Circuit optimization may result in non-intuitive mismatches between circuit specification and implementation. In this paper we introduce the first method for cross-level validation of TQC circuits. The specification of the circuit is expressed based on the stabilizer formalism, and the stabilizer table is checked by mapping the topology on the physical qubit level, followed by quantum circuit simulation. 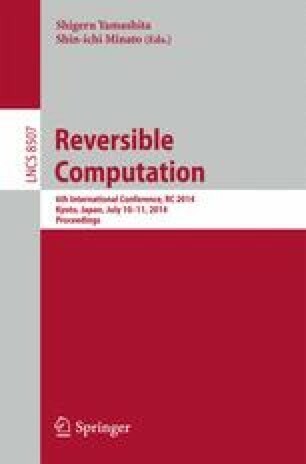 Simulation results show that cross-level validation of error-corrected circuits is feasible.